A Canton mother has been charged with two counts of attempted murder after cutting two of her children's throats late Tuesday. 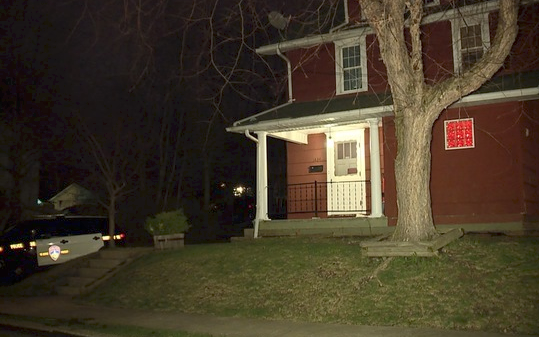 Canton police say the incident happened around 9 p.m. Tuesday at a home on Miami Court NE. The mother, Nicole Auman, 32, allegedly cut both children in the neck and then cut herself on her wrists before calling 911. In the 911 call, Auman told dispatch, "I cut my children’s throats and then cut my wrists. Please help my children." Captain David Kurzinksky told News 5 that, when they get a call that's that disturbing, they have to hope for the best. "The thought always is, hopefully, it's not true," he said. But police forced their way into the home and found exactly what that 911 call described. Auman had cuts on her wrists and her two daughters, ages 7 and 10, had serious cuts on their necks. All three were rushed to the hospital. Auman was released and sent to jail. Her two daughters are in stable condition, recovering at Akron Children's Hospital. Orlando Flores lives near the family. He told News 5 he never noticed anything out of the ordinary. "I seen the kids outside playing a couple times. Never seemed like anything was wrong, but you never know what goes on behind closed doors," Flores said. Police said there have never been any calls to the house. In July of 2012, Auman was arrested for disorderly conduct by intoxication. Her criminal history reveals nothing violent. News 5 checked with Stark County Children and Family Services. They would not fulfill requests for history with the family but confirmed the two girls are in their custody. "This hurts your heart. The kids are the ones most hurt. They'll have that scar for the rest their life. And gotta think about it," Flores said.